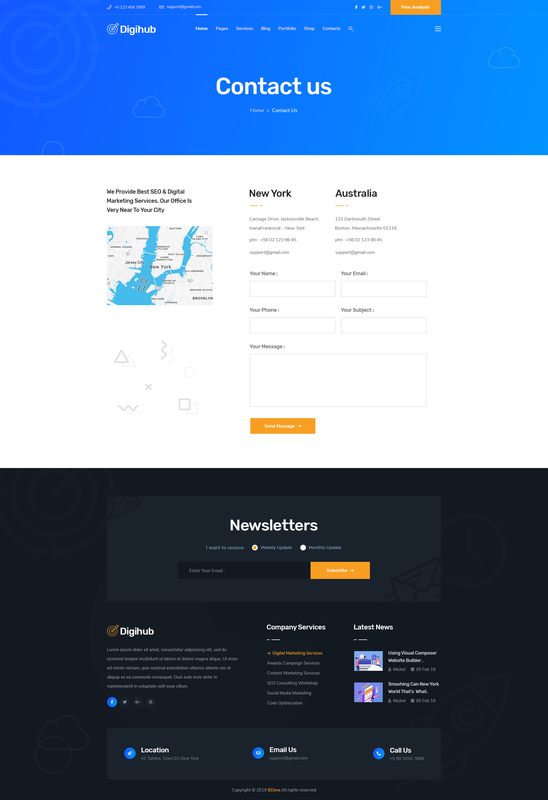 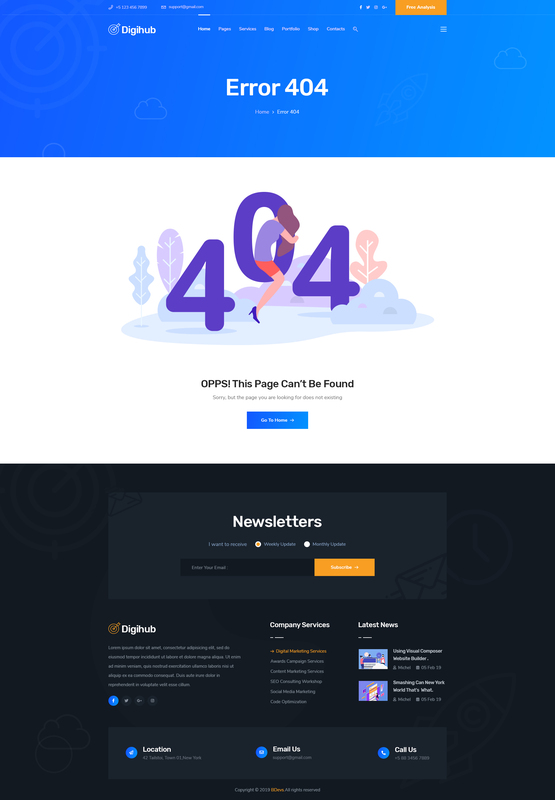 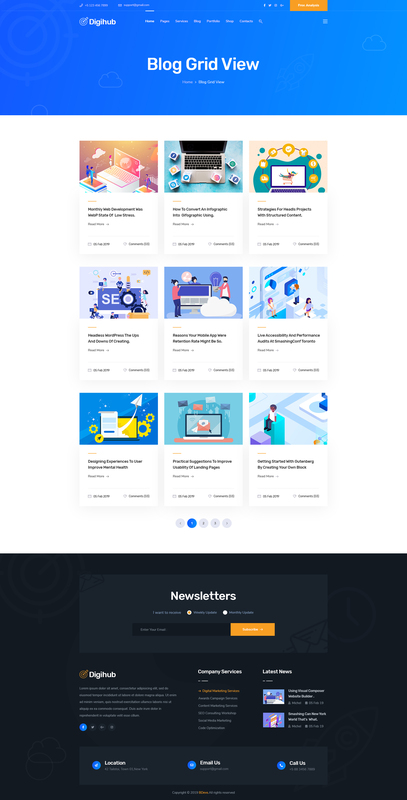 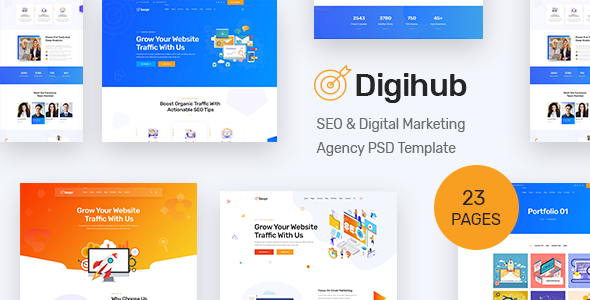 Digihub is super powerful SEO agency PSD template. 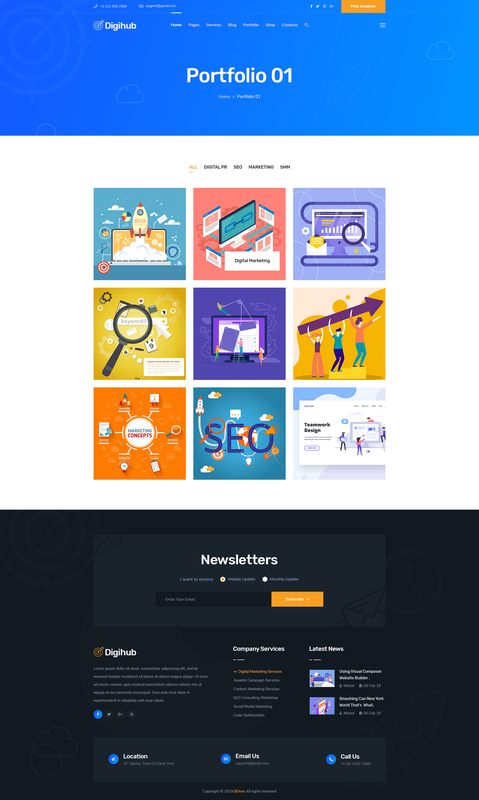 It’s suitable with many kind of business such as SEO Agency, Online Marketing, Digital Marketing, Social Media website. 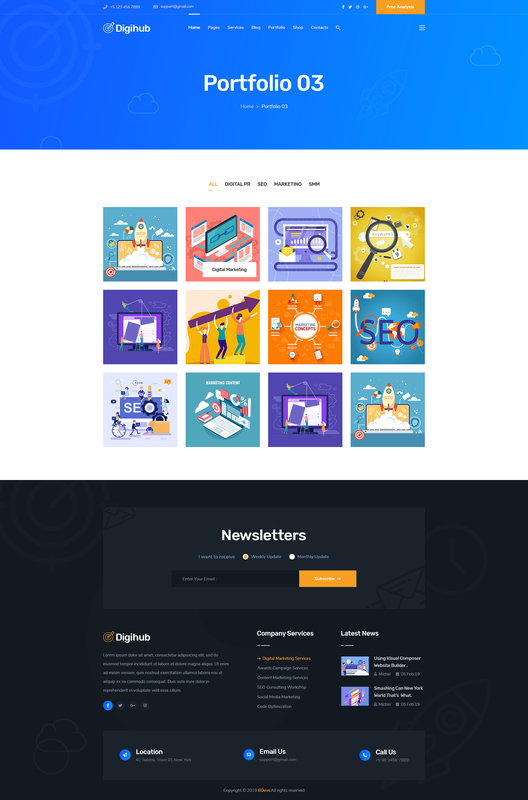 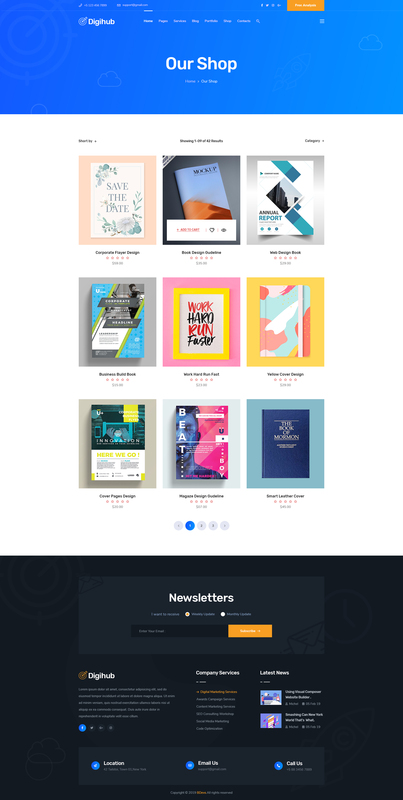 Digihub comes with 3 high quality demos and many built-in inner pages such as service pages, portfolio post..
We have included the best practice of web development – you can create great website layout based on Twitter Bootstrap or Grid 1170px.